Ho Ho Hello! It’s only 5 days until Christmas and our Christmas countdown continues! Of course we all love Christmas Day, but we also always have that down time. You know the time, when the dinner is eaten and the presents are all opened. Everyone is a little bit tired, and totally full. 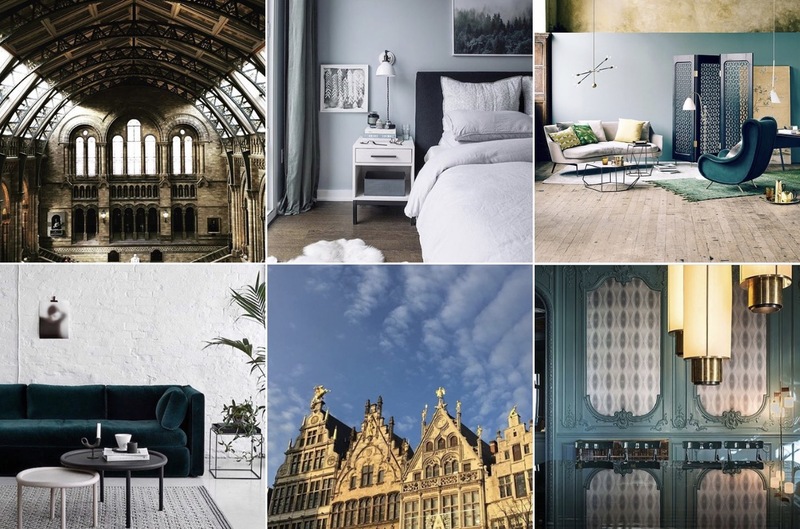 So we thought this year, you could have a little scroll through some of the best interiors Instagram accounts. We just cannot get enough of all of the Instagram inspiration. Our favourites are in no particular order. We tried, but it was just too hard to say which one was best. So, here you go, the best interiors Instagram accounts. Happy early Christmas from Furl. It was just so difficult to start this off. 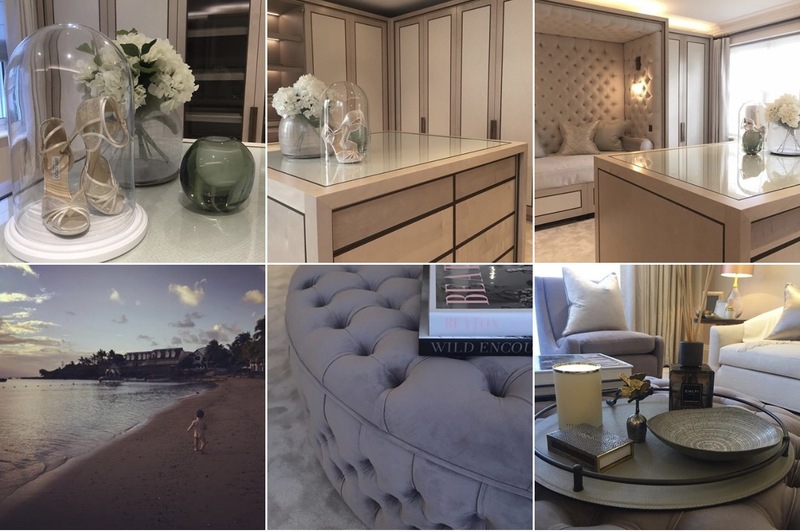 So we thought there would be no better way than first of all sharing with you the Instagram account of our favourite Interior Design magazine. With their huge 99.7k following, and recently a divine palette of greens and blues, this feed is a treat for your eyes. There isn’t a day that passes, where we don’t check in on this page. Here are the last 6 shots from the lovely @elledecorationuk. For those who love a little bit of glamour, mixed with an industrial twist, this Instagram account is the one for you. Full of a moody palette of colours, this feed is absolutely packed with inspiration. We will eat our hats if you don’t want to redecorate your home after flicking through this feed on Christmas Day. The divine last 6 shots from @homeadore. 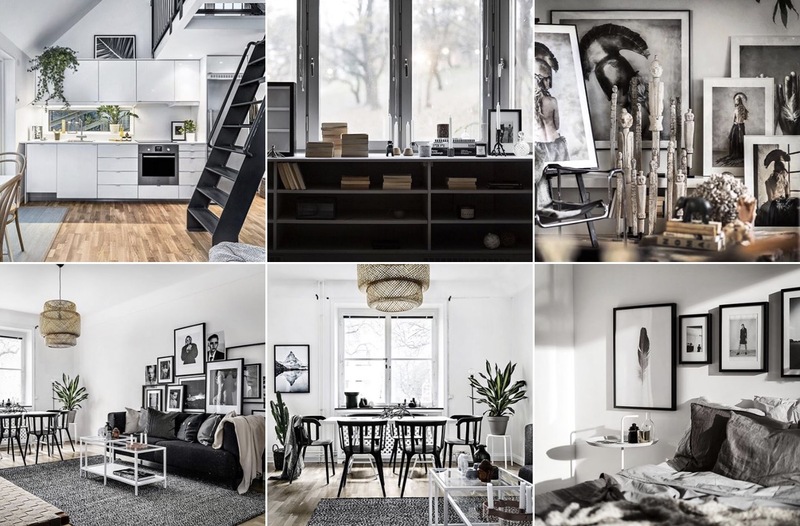 Scandinavian design has taken centre stage over the last couple of years and this Instagram account certainly shows off how to do it best. With an incredibly impressive following at over 250k, these Scandi Interior Designers know exactly what they are doing. 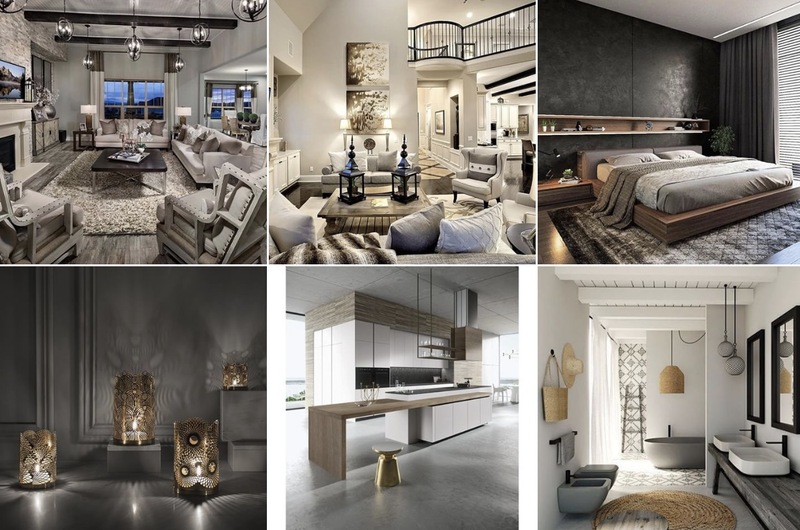 If you are looking to design your home in this style, this is the best interiors Instagram account for you. 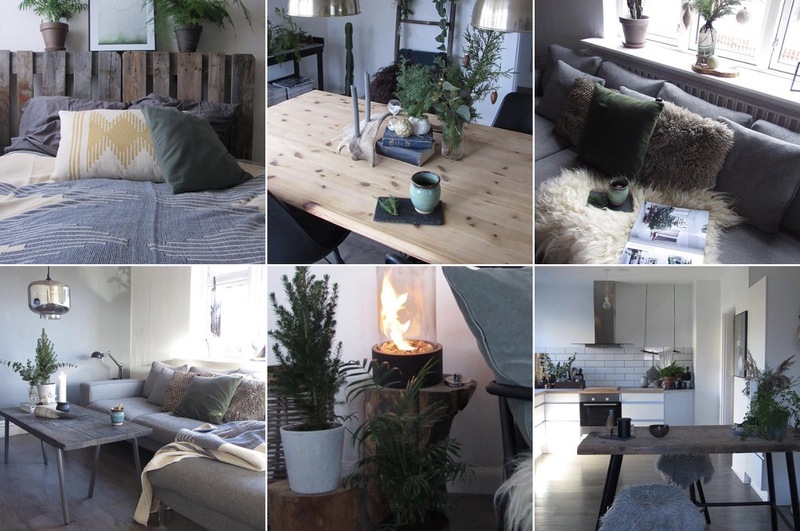 Feast your eyes on these 6 shots from the brilliant @scandinavianhomes. With christmas coming, we couldn’t not embrace the beautiful Rebecca that has recently added a few elegant decorations to her feed. With a soft french chic style, full of white, we always feel incredibly calm after flicking through her images. So take a look at the last 6 beautifully calming shots from @65m2_. Grey has for a long while been the most popular colour for interior decorating. This Instagram account certainly isn’t missing a little bit of grey. Mixed with gorgeous earthy colours it is far from dull. Cozey up with the last 6 shots from the great @fiefroeling. From cozy to luxurious, this interior designer is not short of fabulous interiors to show. Projects are shot in the likes of Chelsea, Belgravia, Mayfair and everywhere else with a hot London postcode. The luxurious London style may not be up your street, but it will certainly give you lots to think about if redesigning your home. So finally here are the last 6 shots from the stupendous @laurahammett.interiors. 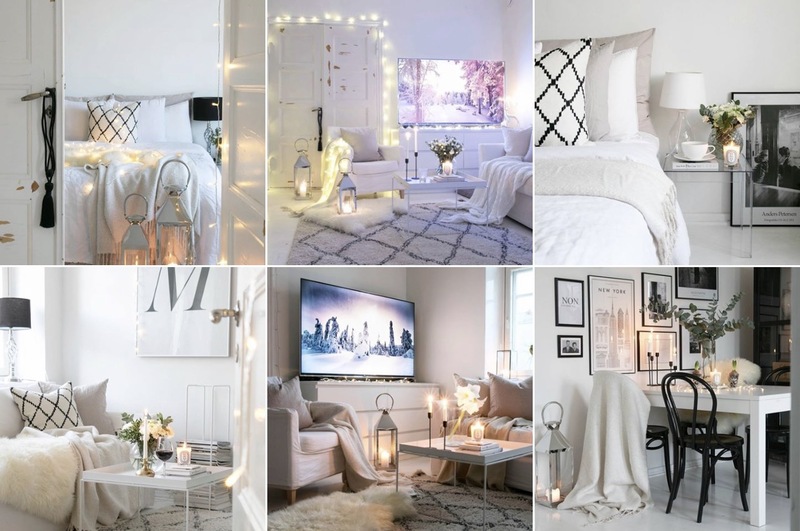 Leaving you with the best interiors Instagram accounts, we also wanted to give you with a little bit of Christmas wreath inspiration. Here’s to the 20th, and the final countdown to christmas!